Commencing in Tehran, this voyage by private train will explore so many of Iran’s remarkable sites and incredibly scenic landscapes. Our Heart of Persia tour is aimed at our guests who display pioneering spirit as we push the boundaries of rail travel; a distinctive adventure by private train allowing you to immerse yourself wholly into the fascinating cultures of ancient Persia and modern day Iran that will enthral and delight with the potential for a surprise or two along the way. 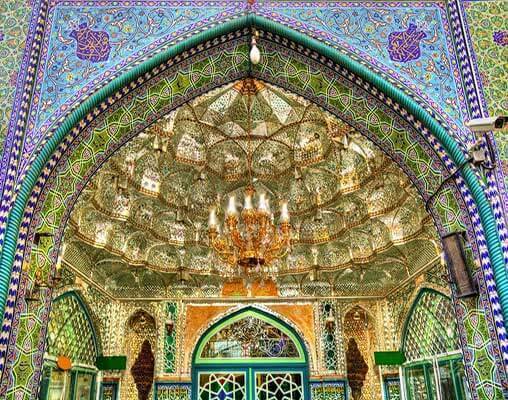 Please note due to religious holidays in Iran, the itinerary can be subject to change. Arrivals day in Tehran where you will be met and transferred to the five-star Espinas Hotel (or similar) for a one-night. We will enjoy a welcome reception dinner, whilst you meet your fellow travellers on this highly anticipated journey. This morning we visit the Golestan Palace (a UNESCO World Heritage Site) with its renovated Versailles-inspired mirror-encrusted Marble Throne Hall, used for the coronation of the last Shah. Most of the remaining brick and tile buildings date back to the 19th century Qajar dynasty. Early evening, we transfer to Tehran railway station with its huge portraits of Ayatollah Khomeini and Ayatollah Kamenei at the entrance to board the Golden Eagle, our home for this remarkable adventure. Settle in to your cabin and later enjoy dinner as the train begins its exciting voyage through Iran. 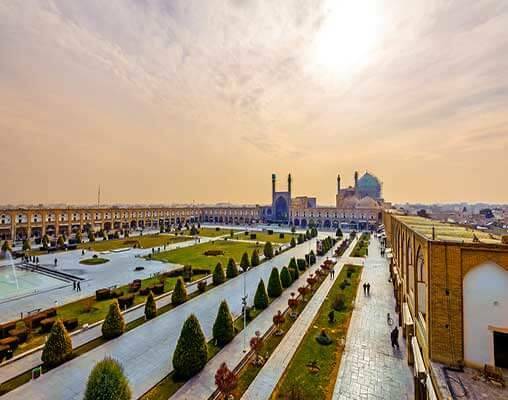 An early morning arrival provides us with the whole day to explore the city of Mashhad, which is home to the Imam Reza Holy Shrine, the largest mosque in the world in terms of its dimension, followed by a tour of the Nader Shah Museum. After lunch in the city, we will visit the Tomb of Ferdowsi, the father of Persian Literature who lived over 1,000 years ago. Dinner is on the train as we head south. Today we travel to the desert trading city of Kerman, where we will drive to the Shahdad Desert to see the cherished Kalouts, which are beautiful, ever-changing sand formations carved by the wind, making an excellent opportunity for photographs. The 20,000 square metre Rayen Castle is situated beneath the snow-capped Mount Hezar in the Province of Kerman. A huge medieval mud brick citadel, it was considered second only to Bam before the 2003 earthquake. Rayen displays all the architectural elements of a deserted citadel (it was inhabited until 150 years ago) and is extremely well preserved. It is considered one of the most interesting sites in Iran. 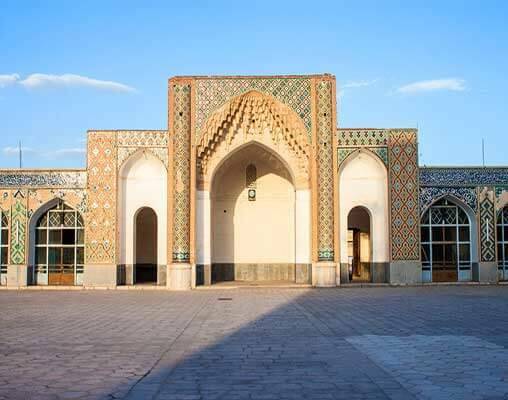 We continue by road to Mahan where we visit the sanctuary and tomb of the famous, Soufi, Shah Nematollah Vali, dating back to the Mongol Era. We also visit the Prince's Garden dating back to the late 19th century, which is a Qajar period house and garden where we will take lunch. After lunch we continue back to Kerman. The city has a mud-brick core centered around the historic and very lively bazaar. We'll visit the Hamam Ganj Ali Khan complex, from the 17th century, where wonderful frescoes adorn the walls and wax dummies illustrate the workings of a traditional bathhouse. We re-join the train at dusk in time for dinner as we travel onwards to Yazd. Yazd is thought to be one of the oldest cities in the world, dating back over 3,000 years, and we spend the day here. 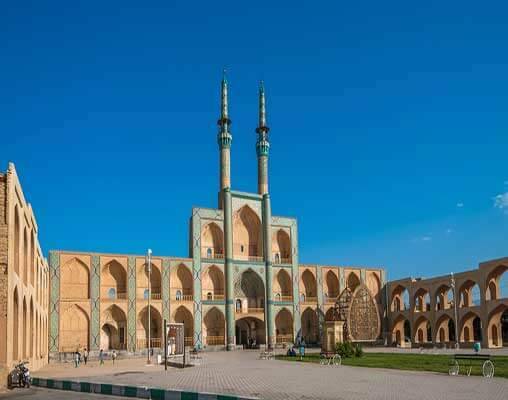 Our tour takes in the Zoroastrian Fire Temple and Silent Towers, Amir Chakhmagh Square and the Friday Mosque, home to one of Persia's finest mosaics (both 14th century) and finally the water museum. Lunch will be served in the Moshir Garden Hotel which features a lovely Pomegranate Garden (Yazd is famous for pomegranates). We return to the train late afternoon. Following breakfast on board we arrive in Sadat Shaha, for the nearby ruins of Persepolis. another World Heritage Site. 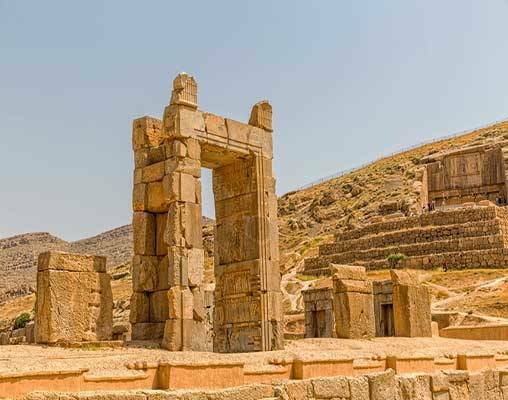 Perhaps Iran's most important archaeological site, this ceremonial capital of the Persian Empire dates back to the 6th century. Even now, the ruins are extremely impressive. Our final visit today is to the Necropolis at nearby Naghsh-e Rustam. After lunch we continue by road to Shiraz. Shiraz is Persia's cultural Capital. Dating back over 4,000 years it is also known as the city of poets, literature, wine and flowers. After passing through the Quran Gate, we visit the Hafez Tomb and the Vakil Citadel, which are the highlights of our afternoon tour. This enchanting city, which served as Persia's capital from 1598 to 1722, is 2,500 years old and one of the oldest in Iran. As a crossroad of international trade and diplomacy, Isfahan has a rich mix of languages, religions and customs. The city is famous for its silver filigree and metal work, array of great historical monuments, and the Life-Giving River, the Zayandeh-Rood, which has given the city its beauty. Isfahan is packed with some of Iran's best sights and today we spend a whole day in the city, visiting the Vank Church in the Armenian Quarter. 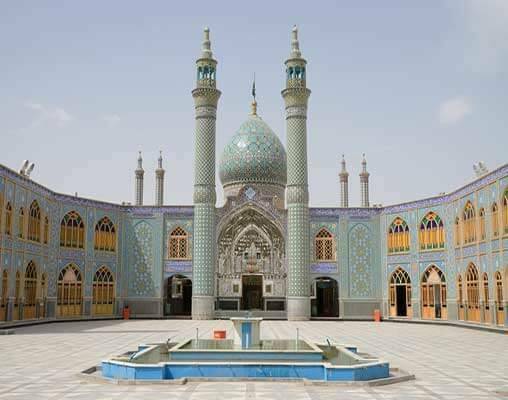 Following a traditional Iranian lunch we move on to Naghshe Jahan Square, a World Heritage Site and the second largest man-made square in the world, where the Ali Qapou Palace and Shah and Sheikh Lutfullah Mosques can be found. Here, the time is yours to enjoy the huge square and pick up a bargain at the handicraft Bazaar of Qaisarieh. Morning finds us in the ancient city of Kashan where we explore the Fin Garden, Iran's oldest garden dating from 1590 (a UNESCO World Heritage Site). We also visit Tabatabei House, a traditional old house of Kashan which displays beautiful architecture and elaborate colored glass. After dinner we arrive in Arak, where we will transfer to our comfortable Iranian private train for one night (private cabins with shared facilities) and travel towards the Zagros Mountains. Admire the magnificent scenery as we meander through the mountainous landscape before arriving in the city late morning. 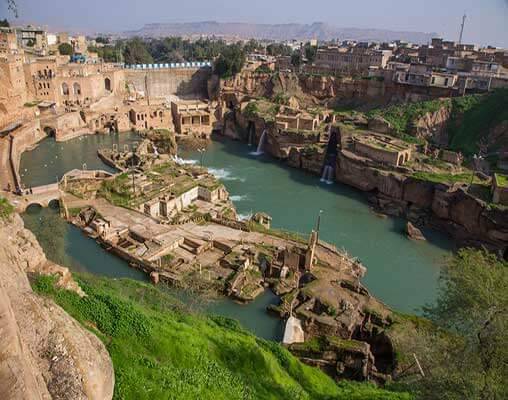 We first visit the hydraulic system that dates back to 590 BC and still provides water to the town of Shushtar. We move on to the Choghazanbil site dating back to 1250 BC and, time permitting, a short tour of the ancient city of Susa before re-joining the train for the spectacular return journey through the Zagros Mountains. Dinner will be served as we head back to re-join the Golden Eagle for our onward journey. Today we enjoy a spectacular rail journey through the Alborz Mountains as we head towards Pol-e Sefid on board our privately chartered Iranian day train. Marvel at the ever-changing, mountainous landscapes as we climb the Trans-Iranian Railway, crossing the infamous Veresk bridge, hailed as the 'Bridge of Victory' in World War Two, and the outstanding 'Three Golden Lines' spiral. This evening we return to the Golden Eagle for our final dinner aboard the train as we return to Tehran. This morning we arrive in Tehran and will pay a visit to the prestigious National Museum of Iran, opened in 1937, detailing many periods of the rich history of the country with some artefacts dating back approximately 30,000 - 35,000 years. Early evening, you will be transferred to your hotel, the Espinas, for a two-night stay. The highlight of our stay in Tehran is undoubtedly the visit to the breath-taking Crown Jewels Museum in the Central Bank of Iran Building, with its vast array of crown jewels used by the Qajar and Pahlavid royalty. We will also take the opportunity to explore the city's Grand Bazaar, situated in the southern heart of Tehran, it is a historical market with a seemingly never-ending maze of bustling alleyways. Tonight we will host our farewell Gala Dinner at our hotel, the Espinas, where you can join fellow passengers to reminisce on all the experiences you have shared together during this remarkable adventure. Enter your details below if you would like to be notified when 2021 dates and prices are available for The Golden Eagle - Heart of Persia.